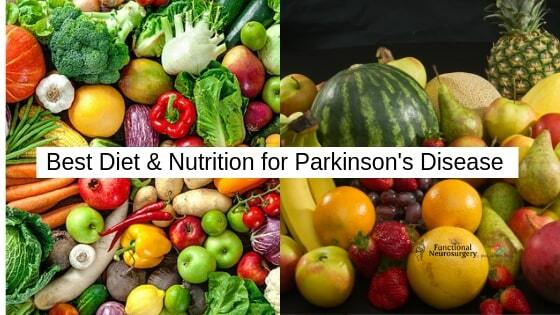 There is no specific diet can treat Parkinson’s disease or its symptoms. It is true that a healthy and balanced diet can improve general well-being. Parkinson’s patient should eat fruit and vegetables, fiber-rich foods and fluids that may help keep you energized and hydrated and ease of constipation or low blood pressure. 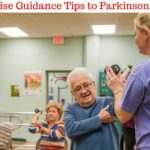 Malnutrition and weight loss are often problems for people with Parkinson’s. 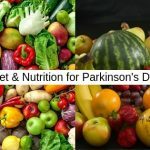 Read the full article Best Diet & Nutrition for Parkinson’s Disease. So it’s good to keep track of your weight. Work with your physician or a dietitian to design a diet that fits your needs. Most of the Parkinson’s patients complain about Constipation. 1. 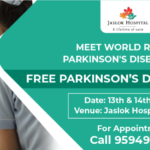 Dr. Doshi always suggests to the Parkinson’s patient to increased fluid intake and fiber which helps to maintain regularity. 2. Patients need to drink 2.5-liter water daily (but drink till evening 6 pm, not night time. If the patient drinks water at night time then many times need to go for urination, it may disturb Patient’s sleep). 3. Drink some warm liquids in the morning time, which can stimulate bowel movements. 4. Low blood pressure is a symptom of Parkinson’s and a side effect of some medications. Raising fluid intake will boost blood pressure and also you have to consult with the Physician. If Parkinson’s patient has any other physical problem, must discuss with your doctor, before any medicine or diet. 5. Don’t consume caffeinated beverages, hot liquids, alcohol as these encourage dehydration and low blood pressure. 6. Drink green tea, bone broth, or ginger tea to boost your immune system. 7. A healthy diet means all type of grains (complex carbohydrates, vitamins, and minerals), green vegetables, vegetables, and fruits. Choose a Parkinson’s patient diet with plenty of grain foods. 8. Eat lots of green vegetables such as spinach (Palak), fenugreek (methi), amaranth (chaulai) and mustard greens (Sarson) are leafy greens, Romaine Lettuce, Broccoli also. 9. Keep also vegetables such as Beetroot (chukandar), white gourd, bitter gourd (karela), cabbage( Patta Gobhi), cauliflower, carrot, pumpkin, tomato, corn, green Jackfruits, green papaya, etc. 11. Increase your fiber intake. Consuming high-fiber vegetables and other food aids digestion, help to eases constipation and also help you feel full longer. 12. Eat fruits & nuts for a snack rather chips, biscuit. 13. Need to avoid fried, greasy, or sweet foods. 14. Don’t mix hot and cold foods. 15. Parkinson’s patient has to cut down on sugar, salt, and saturated fats from meat and dairy, and cholesterol. Rest before the patient eats so he or she can enjoy his or her meal. Eat heavy meal early in the day. Antioxidants Food: What are Antioxidants foods? Antioxidants one of those “good for Parkinson’s patient. Treating with antioxidants, early in Parkinson’s disease process may halt degeneration and improve neuronal function. A healthy diet is one way to support and enhance our body’s ability to combat oxidative stress. 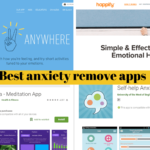 A variety of antioxidants is the best defense to oxidative stress. Plant-based foods are especially high in anti-oxidants. Antioxidants give foods their rich color. Dark green veggies, beans, artichokes, and russet potatoes were tops among the vegetables. Pecans, walnuts, flax, and hazelnuts were the winners in the nut and seed category. A Parkinson’s patient needs to avoid orange and grapefruit juices and other acidic beverages. 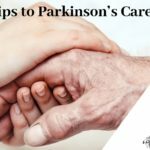 What to eat and what not to eat, it may help you to manage the symptoms of Parkinson’s disease. As we all know that Parkinson’s people need to live with Parkinson’s. You should know the best diet & nutrition for Parkinson’s disease, so it will help to reduce constipation, low blood pressure. malnutrition and weight loss etc. Apart from Parkinson’s disease, if you have any other health issue( High blood pressure, Low blood pressure or Diabetes), for that you need to follow proper diet menu, please discuss with your doctor.